OXFORD, Miss. 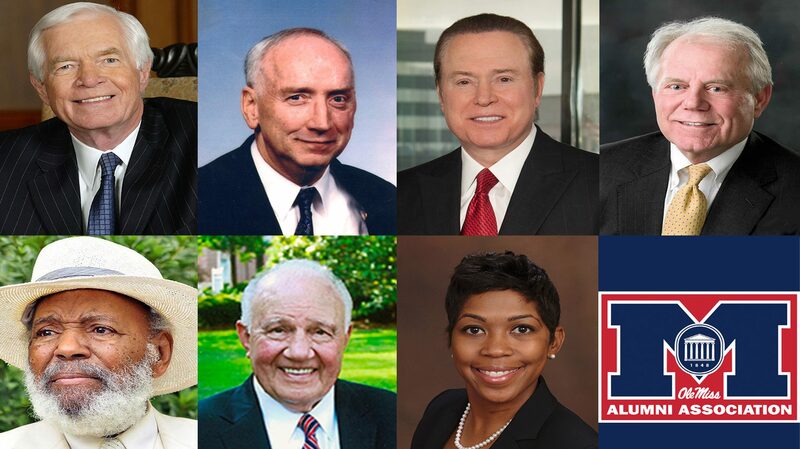 – The Ole Miss Alumni Association is honoring seven distinguished University of Mississippi alumni with its highest annual awards as part of Homecoming 2018. Inductees into the Alumni Hall of Fame for 2018 are: Thad Cochran (BA 59, JD 65) of Oxford; Howard L. Gerlach (BBA 66, MBA 77) of Fairfax, Virginia; Mac Haik (BBA 68) of Houston, Texas; Vernon R. “Randy” Kelley III (BBA 70) of Tupelo; and James Meredith (BA 63) of Jackson. Created in 1974, the Hall of Fame honors select alumni who have made an outstanding contribution to their country, state or the university through good deeds, services or contributions that have perpetuated the good name of Ole Miss. Warner Alford (BBA 60, MA 66) of Oxford will receive the Alumni Service Award for service to the university and the Alumni Association over an extended period. 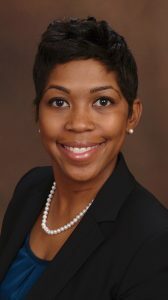 Shaquinta Morgan (BE 03) of Madison, Alabama, will receive the Outstanding Young Alumni Award, which recognizes alumni who have shown exemplary leadership throughout their first 15 years of alumni status in both their careers and dedication to Ole Miss. “The Distinguished Alumni Awards Ceremony gives us the opportunity to recognize some of the university’s most successful and notable alumni,” said Kirk Purdom, executive director of the Ole Miss Alumni Association. “These alumni have excelled in their careers and have done so much good for the university and their communities. The Alumni Association will host a reception for the honorees at 6 p.m. Oct. 5 in the Gertrude C. Ford Ballroom of The Inn at Ole Miss. A ticketed dinner for the award recipients will follow at 7 p.m. Anyone interested in attending the dinner should register in advance by calling the Alumni Association office at 662-915-7375 by Sept. 21. Cost of the dinner is $100 per person, or tables of 10 are available for $1,000. Part of the proceeds from each seat will go toward the Herb Dewees Alumni Association Scholarship. 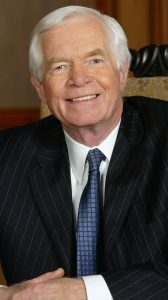 Cochran, who retired as Mississippi’s senior U.S. senator in April 2018, enrolled at UM in 1955. He earned a Bachelor of Arts with a major in psychology and a minor in political science. He was elected president of his social fraternity, Pi Kappa Alpha, was a company commander in the Navy ROTC and student body vice president, and was selected for membership in Omicron Delta Kappa national leadership honorary. After earning a law degree from Ole Miss, Cochran studied international law for a year under a Rotary Foundation Fellowship at Trinity College Dublin, Ireland. He has been awarded honorary degrees from five other colleges and universities. Before his election to Congress in 1972, Cochran practiced law in Jackson served as an officer in the U.S. Navy. He was first elected to the Senate in 1978 and was re-elected six times. He served as chairman of the Senate Committee on Appropriations, a position he also held during the 109th Congress (2005-06) and 114th Congress (2015-16). Cochran was a senior member on the Senate Committee on Agriculture, Nutrition, and Forestry, having most recently served as its ranking member in the 113th Congress (2013-14), where he played a pivotal role in helping enact the 2014 farm bill. Cochran’s wife of 50 years, Rose Clayton, passed away in 2014 after a lengthy illness. The Cochrans have two children and three grandchildren. In 2015, Cochran married Kay Bowen Webber in Gulfport. Gerlach was born in New Castle, Pennsylvania. He enlisted in the U.S. Marine Corps after graduating high school and was selected for a full scholarship under the NROTC program in 1962. After graduating from Ole Miss, he was commissioned a second lieutenant in the Marine Corps. He served as a rifle platoon leader in Vietnam before being wounded. After recovering, he was sent for a second tour in Vietnam as a senior adviser to a Vietnamese infantry battalion. Gerlach returned to Ole Miss on assignment as the NROTC Marine officer instructor and was promoted to the rank of major in 1975. Gerlach’s final active duty assignment was to the Second Marine Division, where he was promoted to lieutenant colonel. There, he assumed command of 1st Battalion 8th Marines, which was deployed in May 1983 on a peacekeeping mission in Beirut. On Oct. 23, 1983, their headquarters building was attacked by a suicide truck bomber. The bomb leveled the building and killed 241 Marines, sailors and soldiers and wounded approximately 80 more. Among many other injuries, Gerlach’s most serious was to his spinal cord, which required nine months of recovery and rehabilitation. He retired from the Marine Corps in 1985 and started a new career in 1986, mainly in acquisition and logistics. He first served as a federal contractor and later as a civil servant at Headquarters Marine Corps and the Defense Logistics Agency. He retired in 2008. Gerlach and his wife, Patty, have two children and two grandchildren. Haik graduated from UM with a degree in marketing and sales management. At Ole Miss, Haik was co-captain of the football team, was selected by national leadership fraternity Omicron Delta Kappa and was voted Colonel Rebel by the student body. Haik established Mac Haik Enterprises shortly after retiring from professional football, where he was selected as the first draft choice by the NFL’s Houston Oilers. Since its inception, MHE has grown from a start-up entity of two people to an organization with 11 affiliated companies that employs approximately 3,025 associates and generates revenues in excess of $2.2 billion per year. Haik has personally been involved in consulting, brokerage and development of property worth more than $950 million. Mac Haik Realty recently completed 3.1 million square feet of office, hotel, restaurant and car dealership projects in the Houston Energy Corridor. The original Hilton/Embassy Suites hotel project received the Deal of the Year award from Hilton, the only such award given in the country. Haik recently was recognized as Hilton Hotels’ Hilton Developer of the Year. Mac Haik Automotive Group is the largest independent automotive group in Texas and the 15th largest independent automotive group in the United States. Mac Haik Chevrolet in Houston has been the recipient of the prestigious Dealer of the Year Award 15 years in a row. Mac Haik Automotive Group has won 15 Triple Crown Awards, awarded by Ford Motor Co. annually to approximately 21 dealerships out of over 3,300 nationally. Haik also received the Legacy Award from Bill Ford of Ford Motor Co. for outstanding sales, service and customer satisfaction rating and community service. Kelley has focused his vision and talents on assisting the people of Northeast Mississippi in expanding their horizons and improving their quality of life for four decades. As a young man, Kelley left his home in Missouri to chase the dream of playing football at Ole Miss. While his time on the gridiron never flourished, his academic training resulted in a bachelor’s degree in banking and finance and master’s degree in urban and regional planning. 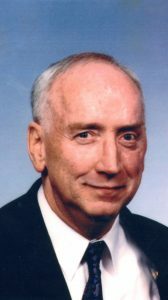 In 1976, he joined the Three Rivers Planning and Development District, assuming the role as executive director, overseeing a small budget serving eight counties. His vision has created numerous services and generated tremendous results. Three Rivers operates 10 different corporations that range in size from three counties to statewide, with a combined budget in excess of $193 million. 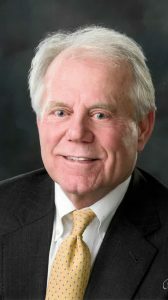 Kelley initiated the formation of the PUL Alliance, a unique three-county (Pontotoc, Union, Lee) effort that was successful in attracting a major industry, a Toyota automotive assembly plant. Kelley received the National Association of Development Organizations award for outstanding executive director of a multi-county planning and development organization in 1985, and later served as president of this national organization. 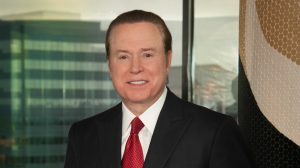 He received the Appalachian Regional Commission Federal Co-Chairman award in 1988, was named one of North America’s top 50 economic developers in 2015 and received the U.S. Small Business Administration Lifetime Achievement Award in 2017. Kelley lives in Tupelo with his wife, Bonnie. He is the father of two daughters and has one granddaughter. Meredith was born in Mississippi in 1933 and raised on a farm with nine siblings. After graduating from high school in Florida, he served nine years in the Air Force before becoming the first black student at UM in 1962 and later organizing his lone “Meredith March Against Fear” in 1966. He graduated from the university in 1963 with a degree in political science, then earned a master’s degree in economics from the University of Ibadan in Nigeria and a law degree from Columbia University. Meredith has authored 27 books and says that his published work is his greatest contribution to Mississippi and America. 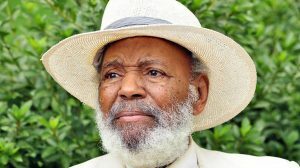 His first book, an account of his experience titled “Three Years in Mississippi,” was published in 1966. Meredith married Mary June Wiggins in 1956 and had three children, John, Joseph and James. Mary died in 1979. In 1981, Meredith met and married Judy Alsobrooks, who had one son, Kip, from a previous marriage. James and Judy have one daughter, Jessica Meredith Knight, and share 12 grandchildren. A tree farmer in Attala County and a Jackson businessman, Meredith continues to speak around the country. Alumni Service Award recipient Alford dedicated over half his life to the university. From his playing and coaching days on the football field to his administrative duties, Alford served his alma mater in many capacities, including 16 years as director of athletics. Alford earned three letters as a guard on standout Rebel football teams from 1958 to 1960. He was co-captain of the 1960 undefeated national champion team and served as athletics director from 1978 to 1994. 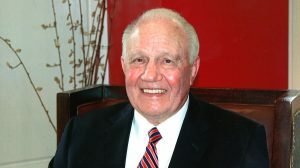 During his years as athletics director, he helped expand athletic opportunities for both men and women at the university, increasing varsity sports from eight to 15. Vaught-Hemingway Stadium received a major facelift under his leadership, which included a new press box, 29 skyboxes and the addition of a lighting system, bringing night football to the Oxford campus. Other major facility additions included construction of a new baseball stadium and tennis center. He later returned to Ole Miss and held positions as executive assistant for development for the UM Foundation and coordinator for external programs for the Trent Lott Leadership Institute, and worked with the Ole Miss First scholars program. He served as executive director of the Ole Miss Alumni Association from 2004 to ’08, overseeing significant growth in the club program and the addition of the tower to The Inn at Ole Miss. Alford was inducted into the M-Club Alumni Hall of Fame in 1999, the Mississippi Sports Hall of Fame in 2003 and the UM Alumni Hall of Fame in 2009. A native of McComb, Alford is married to the former Kay Swayze, of Oxford. They have three children, Thomas Swayze Alford, John Warner Alford III and Phyllis Alford Daniels, and seven grandchildren. The Outstand Young Alumni Award recipient, Morgan moved to Washington, D.C., with dreams of working for the Environmental Protection Agency after finishing her chemical engineering studies at UM. That dream was placed on hold after the Sept. 11, 2001 attacks, within weeks of her moving there. She began her engineering career by negotiating both a meeting and a job with the owner of a small water conservation company that wasn’t hiring. Morgan moved on to expand her expertise beyond water conservation to be inclusive of all aspects of energy management, expanding her professional career with some of the most respected energy service companies in the world, such as NORESCO and Johnson Controls. A licensed professional engineer with mechanical engineering emphasis, a certified energy manager and a LEED accredited professional, Morgan joined the Philips Lighting End User Services team, where she is director of solution architecture for the United States. Her team designs complex lighting controls and data solutions for large entities within federal, state and local government, office and industry, retail and hospitality, and sports and entertainment segments across the United States. A member of Alpha Kappa Alpha Sorority Inc., Morgan also is active in the community and local schools. She serves on the boards of directors of Christmas Charities Year Round, the Connections Council to Huntsville Hospital and the Madison City Schools Growth Committee. She also serves on the advisory board to the School of Engineering. Morgan lives in Madison, Alabama, with her husband, Markeeva, and their two daughters, Mallory and Sydney.